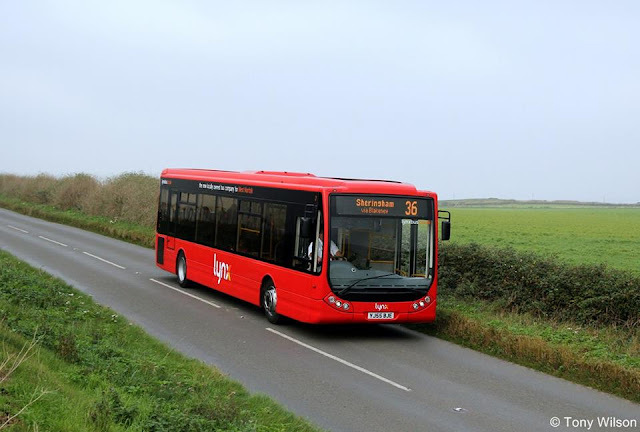 With Stagecoach Norfolk (previously Norfolk Green), and their fleet of Optare Solos now off the Coasthopper route for the Norfolk County Council's winter contract, their place has been taken by King's Lynn based Lynx. 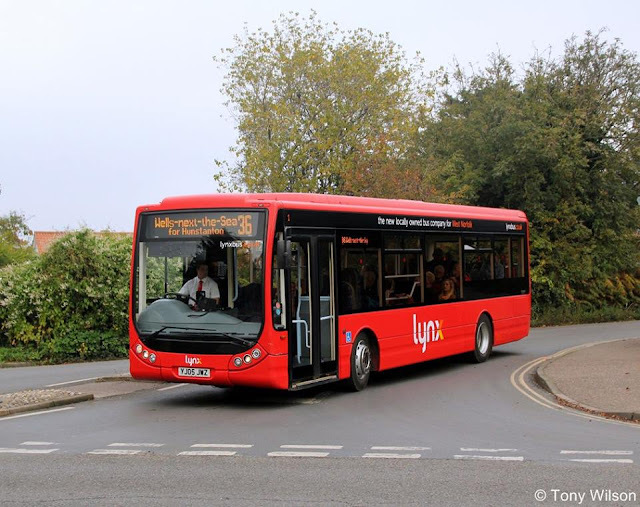 Red liveried Optare Tempos appear to be their staple diet for the re-numbered route 36 (CH2/3 as was), between Hunstanton and Sheringham initially, but through to Cromer hourly from the 9th November. 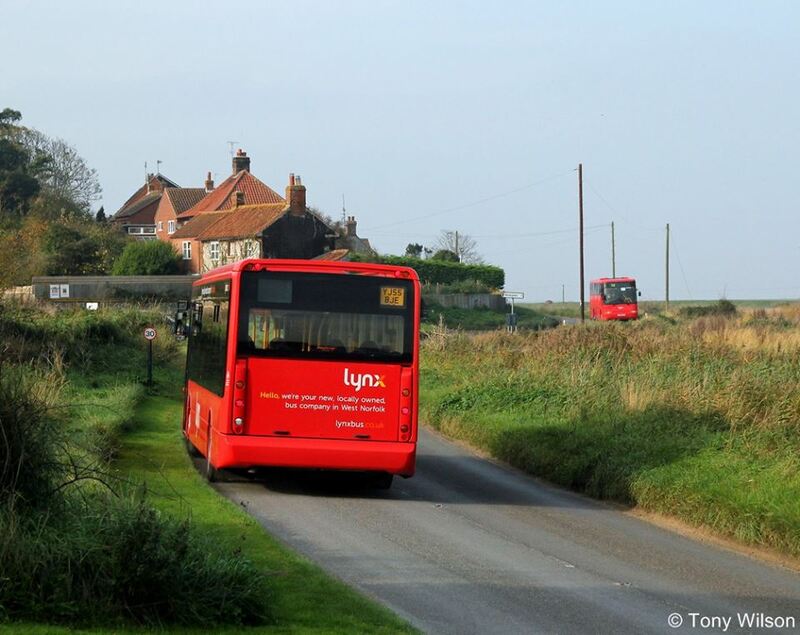 Fleet number 1 (above) departs Sheringham whilst (below) number 2 heads towards Sheringham from nearby Weybourne. However, four similar blue liveried buses have recently been acquired from the Diamond bus company in the North West and at least one has made its way along the coast road. 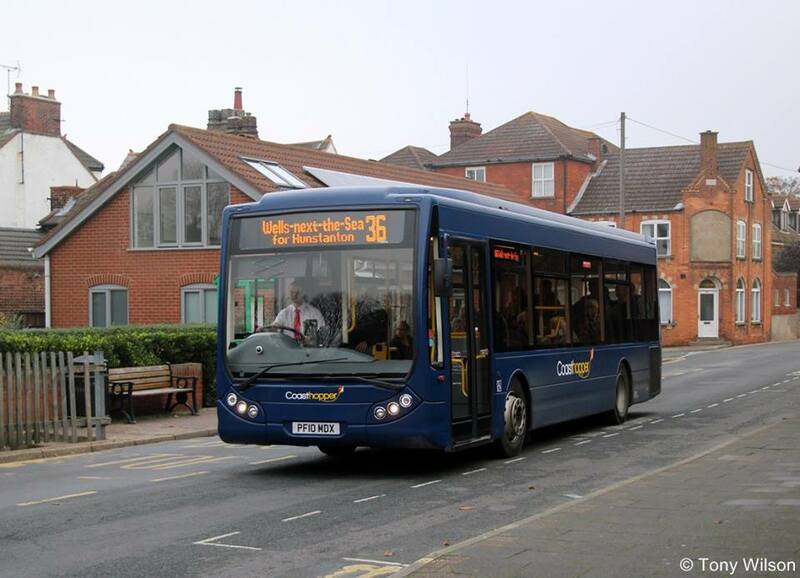 Indeed as illustrated it may be a regular visitor to the towns and villages along the A149, due to the addition of Coasthopper vinyls being attached. 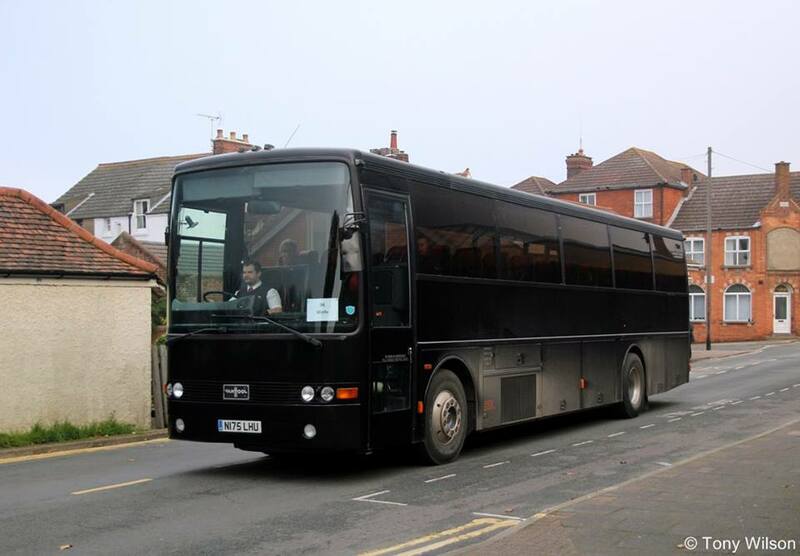 Fleet number 8 departs Sheringham bound for Wells-next-the-Sea and then Hunstanton. As well as the Optare Tempos, the company operates a small number of coaches including a former Eastern Counties Volvo B10M with Plaxton bodywork. 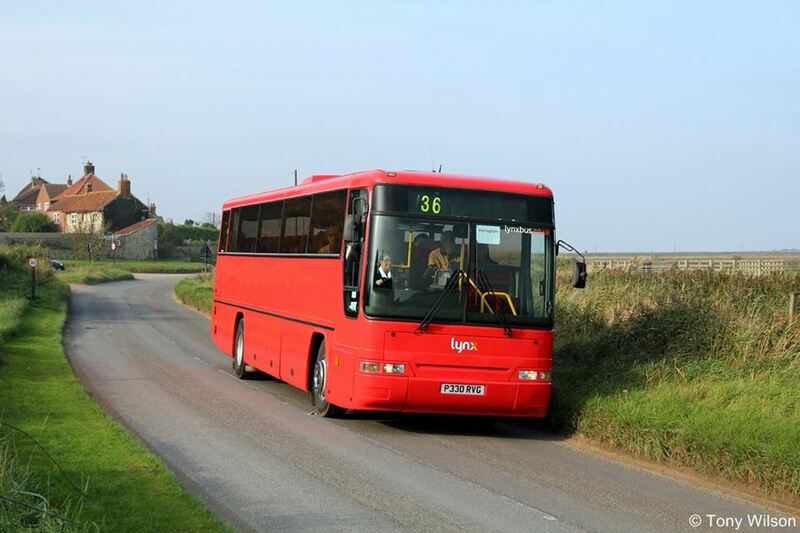 Fleet number 30 passes by the open spaces of the RSPB Reserve at Cley-next-the-Sea. Another Volvo B10M pressed into service is their black liveried Van Hool bodied Volvo B10M previously operated by Weaverway. As to whether the company retains the service from Spring 2016 remains to be seen.